At NAB 2018, Kinotehnik, a Northern European manufacturer of cinematography and lighting accessories, will introduce Practilite 802, its first bi-color, power-panel LED lighting instrument. Ideal for ENG, documentaries, reality TV production and event videography, Practilite 802 employs advanced secondary optics to achieve unprecedented light output and power efficiency in a portable unit. It also features a silent cooling system and an IP54 rating for dust and waterproofing, allowing for its use in virtually any production situation. Roughly 50 percent more powerful than most popular LED panels, Practilite 802 delivers 1860 fc at 30-degree beam (370 fc at 90-degree beam, fully diffused) while consuming a maximum of 90W. It connects effortlessly with smart devices for quick set-up and easy adjustment, even when hard to reach. 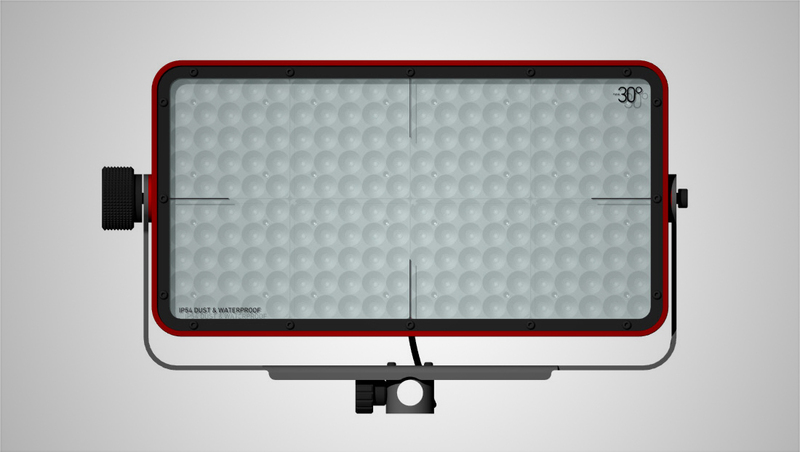 The built-in 30-degree lens arrays are complemented by two state-of-the-art rigid diffusers, which provide efficient diffusion for beam angles of 60- and 90-degrees. Practilite 802 and other Kinotehnik products are available in the U.S. through Manios Digital & Films. At NAB 2018, Kinotehnik products can be seen at the Manios Digital booth, Central Hall, C9020.